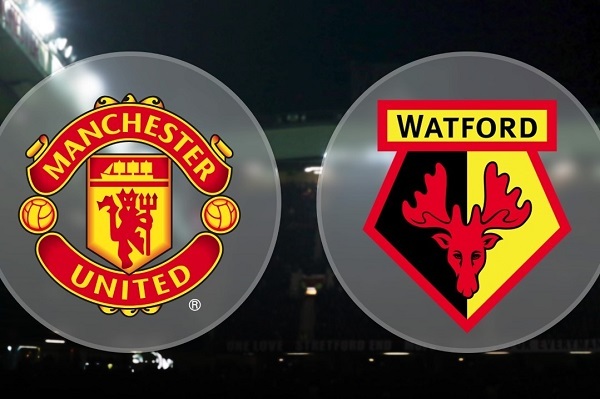 The international break is over and Manchester United return to Premier League action on Saturday for their match against Watford at Old Trafford. It will be manager Ole Gunnar Solskjær’s first game in charge as permanent manager of The Reds after he signed a 3 year contract on Wednesday. Now everyone knows Ole is at the wheel for the long term, United will be keen to get themselves back to winning ways after back to back defeats to Arsenal and Wolves respectively. Watford who have enjoyed a successful season so far, are up there to be in contention to be “best of the rest” outside of the top six come the end of the season. They have other reasons to be cheerful having progressed to the semi-final’s of the FA Cup with a victory over Crystal Palace. That win followed up a string of fine results for Gracia's men, the Hornets have also thumped Cardiff City and dismissed Leicester City in recent weeks. There is no doubt that they will be keen to keep up their good work this season to try and spoil the Old Trafford party Saturday afternoon. After a competitive international break United will have to assess all players involved before making any decisions about who is available for this weekend’s game. We know that long term absentee’s Alexis Sanchez, Antonio Valencia and Marcus Rojo will miss the game. There will be question marks over the availability of Marcus Rashford, Jesse Lingard, Luke Shaw, Anthony Martial, Victor Lindelof and Romelu Lukaku after they had to withdraw from their respective countries just before the international fixtures. United will go in to game hopeful they can field their strongest midfield again though, as Paul Pogba, Ander Herrera and Nemanja Matic should all be fit for selection. Watford manager, Javi Gracia has no such concerns. Full-back Jose Holebas has been struggling with an ankle problem in recent weeks, though the Greek international should be fit to face the Red Devils. In the reverse fixture this season at Vicarage Road, United took all 3 points with a 1-2 victory over The Hornets, goals from Lukaku and Chris Smalling capped off an impressive display back in September 2018. Watford have never won a league match at Old Trafford, with their sole success at the venue coming in the FA Cup back in 1978. Watford have beaten United just once in their 11 Premier League meetings, with the Red Devils winning the other 10. Watford have taken just four points from 66 available away against big-six sides, losing the last 13 in a row. Deulofeu has had a hand in six goals in his last four Premier League games (four goals, two assists). In terms of top-flight meetings, the only side to play more away matches against United without winning than Watford are Luton Town (15 between 1955 and 1991). While it is hard to predict the outcome of any game one thing we can be sure of is the atmosphere inside Old Trafford at kick off on Saturday will be electric. Watford will come to the Theatre of Dreams with no fear and with determination to get one step closer to a place in Europe next season, which is getting tantalising close for them. However they will surely be coming up against a group of buoyant Manchester United players after Solskjær’s appointment on a full time basis who will be keen to get back to winning ways after their last two games ended in defeat. United may have had a blip in recent weeks, but they remain a side with confidence surging through their veins. Rather than be disheartened by their FA Cup exit and the loss at the Emirates, Solskjær's men are likely to be determined to set the record right. I believe United are now a team with a strong mentality and a taste for winning, and they will not dwell upon disappointments of the past. With home advantage, they should be able to see off this talented, spirited Watford team.